Project Fi is trying to take the Cellular market to a whole new level, similar to that of TMo. Unlike some of the other carriers that roll over your unused data, Project Fi is doing something revolutionary in the market. They are only charging us for what we actually use. 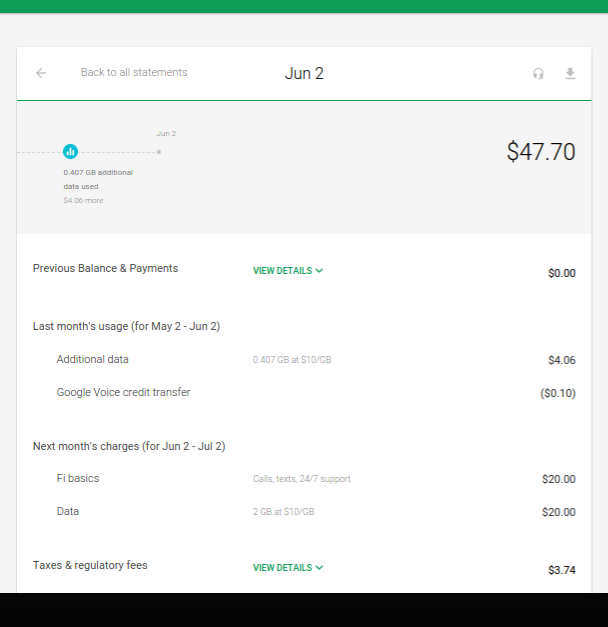 Yeah, we all new this going into Project Fi, but its fascinating to see actually happen. 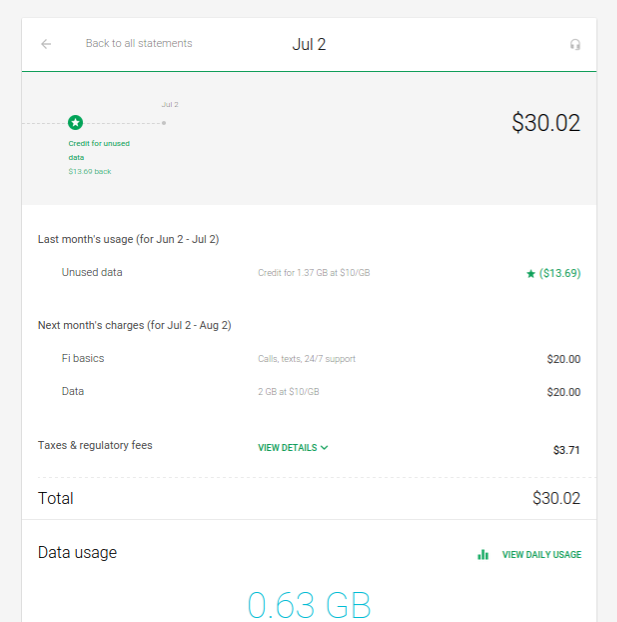 Project Fi doesn't cap your data speeds nor they don't roll over unused data with an expiration. 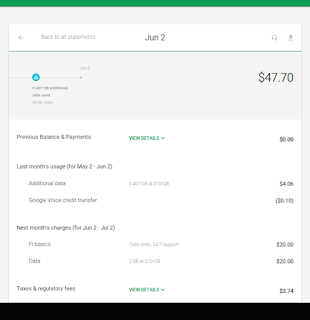 I have experienced both ends of this spectrum of billing with Project Fi. In my first month I went over my data and saw an overage charge on my following bill. 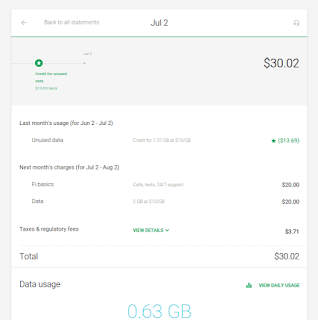 The next month, I changed my habits a bit and went way under my data and thus received a credit on my bill. My speeds didn't change, I never lost my data access, I just paid for what I used. You can see the two bills here as they show exactly how the billing on both sides works.